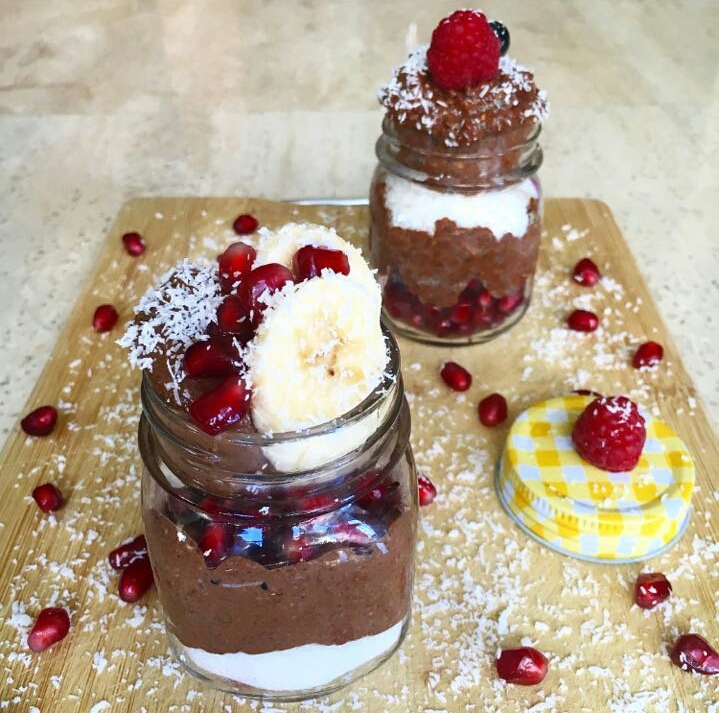 Chocolate Chia Pudding – To Blend or Not to Blend? Chia pudding has now become one of my all-time favorite breakfast or snack (replacing, what I used to think was ‘heart healthy, wholegrain’ (or should I say processed, sugar packed) cereals). Chia seeds are protein and nutrient dense! There are many simple and delicious recipes to easily get the benefits of these seeds. Today, I am going to share my ultimate favorite recipe, requiring only 6 basic ingredients. Add all the ingredients to a mixing bowl and whisk to combine. 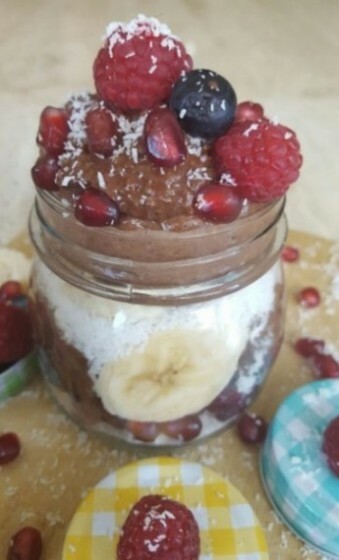 Place in a covered bowl in the fridge overnight or until it has achieved a pudding-like consistency. Serve chilled with your desired toppings, such as fruit, granola or coconut shavings. I also tried a version with the chia seeds blended (although the difference in consistency is not showing in my picture). If you would like to try the blended version, mix all the ingredients without the sweetener of your choice. Add to a blender and blend until completely smooth and creamy. Then sweeten to taste and add desired toppings. My preference is still the unblended version. What is yours? Sahtein! Bon appétit! Enjoy!